Nintendo has been great with releasing regular updates for Super Mario Maker, and we've loved thinking about which costume they're gonna drop next. However, this update brings a bit of a surprise and is sure to have a lot of Western gamers confused. 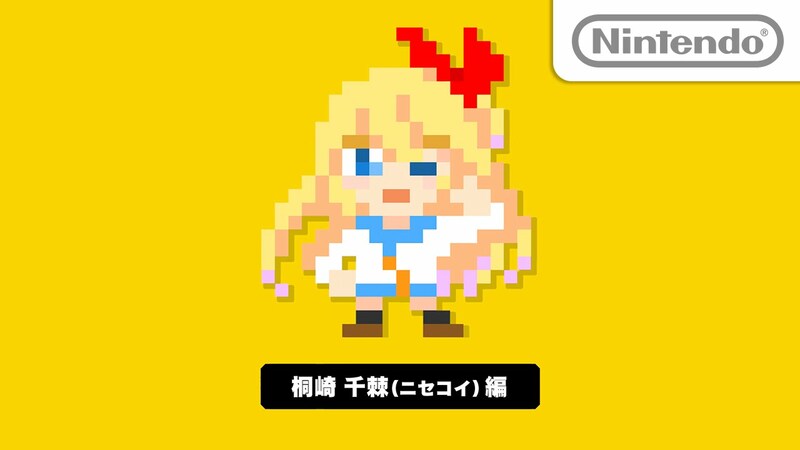 The latest addition to Super Mario Maker's costume roster is Chitoge Kirisaki from the Nisekoi manga that appears in Shonen Jump magazine. While most players simply won't know who this is, there's a small minority that will think it's totally kawaii. Regardless, it's awesome to see Nintendo releasing new costumes, and I'm glad they're not limiting even the obscure ones to Japan only.